Personal training clients are typically hard-driving adrenaline junkies who love the pursuit of personal and professional success. Living on the edge, especially when you are winning, can be an exhilarating adrenaline rush. But that power high will eventually take its toll. Chronic stress, no matter how productive, can lead to heart disease, weight gain and burnout. 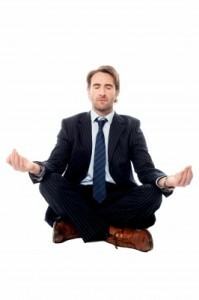 Dynamic people often have a hard time reeling in their energy and re-channeling it toward low-key pursuits. Meditation is a practice that can, over time, make your clients more productive, personally and professionally, while abating the negative repercussions of stress. According to the “Tibetan Book of Living and Dying,” meditation is the practice of bringing the mind home to the body, where it can find rest and restoration. Think of returning home from a busy stressful day of work, or from a particularly exhausting trip. The sense of relief is immediate as the aromas, sights and sounds of your domicile preclude thoughts of work and business. You kick off your shoes, don your yoga pants or pajamas, curl up with your furry best friend or your significant other, and you are in a momentary state of stress-free bliss. Now imagine being able to replicate that bliss on a deeper, more personal level, no matter where you are and in spite of what is taking place in your surroundings. When you meditate, chemical changes occur in your body that enable your brain to come home to recharge. According to the Harvard School of Medicine, meditation can help ease psychological stresses like anxiety, depression, and pain. When you meditate, you deactivate the emotionally charged responses that underlie stress, and you are able to view your life and its problems from a more neutral and objective perspective. According to Psychology Today, repetitive bouts of meditation literally change your reactive responses to stress, ultimately making you more present, compassionate and empathetic with people and situations, no matter the circumstances. This kinder, gentler, more compassionate version of you will enjoy better health and a richer quality of life as you find peace and harmony in your relationships and with your environment. This will in turn engender reciprocity, as others respond to your kindness. Your professional and personal relationships will blossom and bear fruit, both materially and esoterically. For many, the idea of meditation conjures up images of sitting in an uncomfortable lotus position for long periods of time, chanting a mantra while struggling to clear the mind of thought. But meditation can be as simple as sitting in peaceful surroundings, perhaps on a comfortable chair in a quiet room, or on a park bench under a shady tree, or on a sandy beach where the tides ebb and recede. Begin by focusing on your breathing. Close your eyes and breathe deeply in and out through your nose, paying attention to the rhythm and flow of air into and out of your body. When your mind wanders, gently pull your attention back to your breathing. 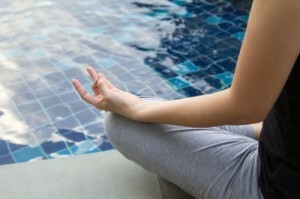 Repeat the process of redirecting your focus as often as necessary during your meditation session. According to Reuters, learning to control and redirect your thoughts is like doing biceps curls for your brain. The more you practice meditation, the better you get at it. Begin with only a few minutes each day, and gradually add one minute per week, until you are able to achieve sessions lasting 20 to 30 minutes. Tibetan Book of Living and Dying: Bringing the Mind Home. Harvard Medical School: Mindfulness meditation may ease anxiety, mental stress. 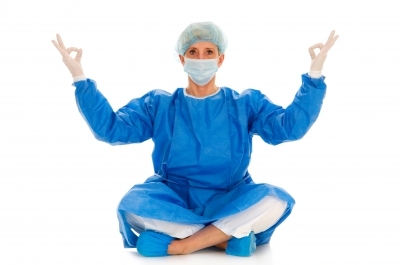 Psychology Today: This is Your Brain on Meditation. Reuters: Aerobics for the brain? 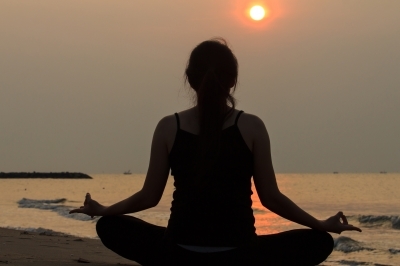 Fitness experts praise mindfulness meditation.